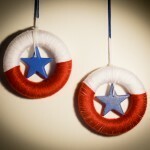 I think I’ve said it before, but American summers just scream red, white, and blue to me. 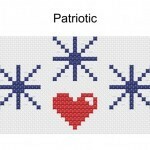 It’s the perfect time to let your patriotic side run wild. 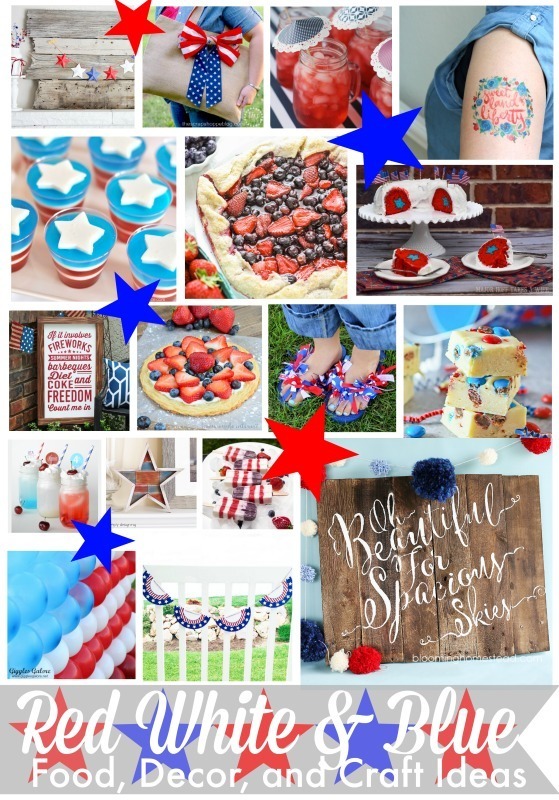 I’ve joined in with a bunch of talented bloggers to help you out this summer with a Red, White, and Blue Blog Hop! If it’s red, white, and blue, you’ll find it here! 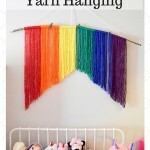 I have been obsessed with yarn hangings since I first started seeing them pop up on Pinterest. 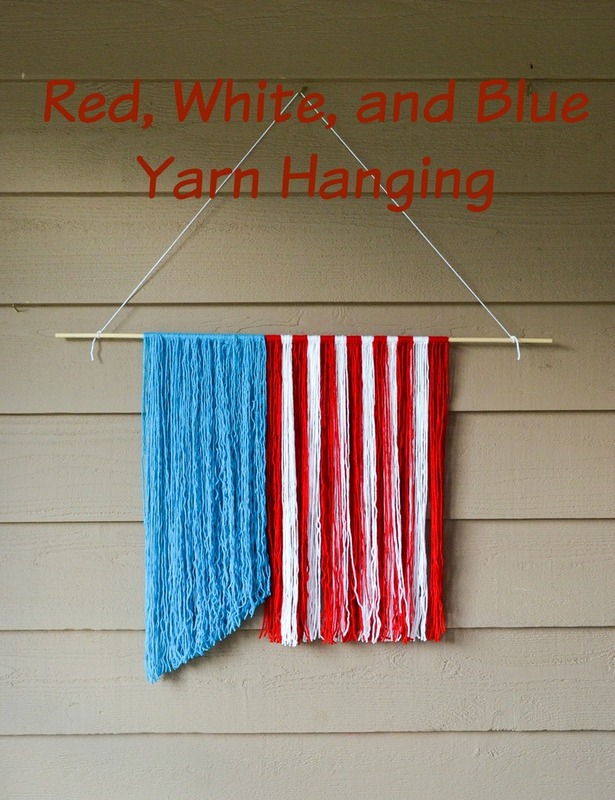 I decided to make one with a themed twist for this blog hop, and thus my Red, White, and Blue Yarn Hanging was born! 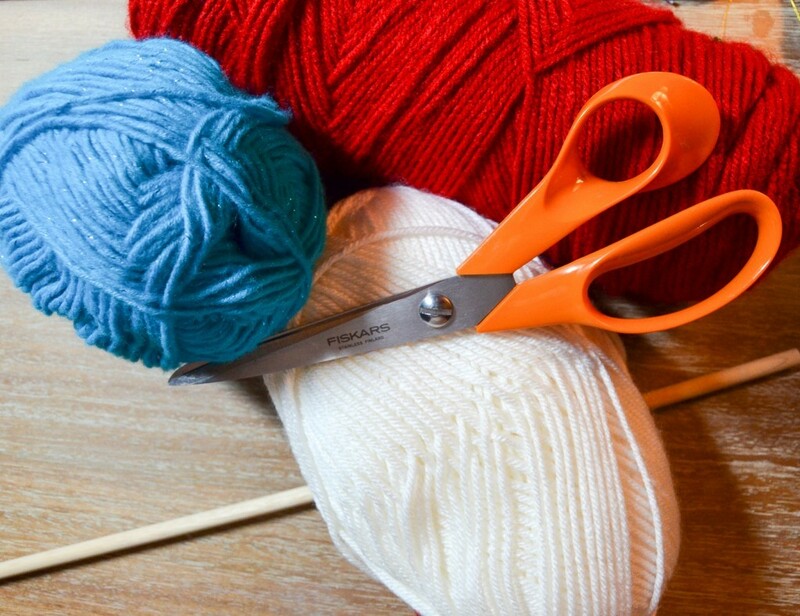 Yarn hangings are easy to make, but you’ll need a good block of time to put it all together. 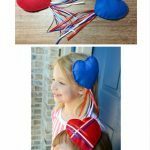 You will need a dowel rod, red, white, and blue yarn, and a pair of scissors. 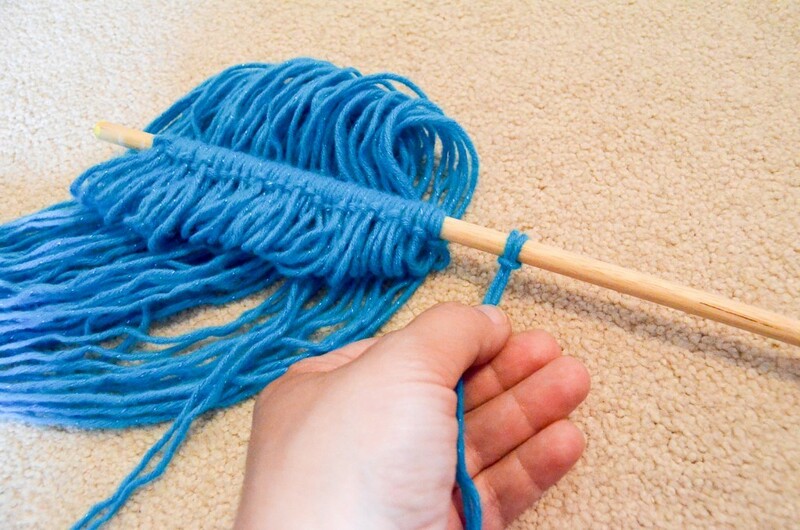 I cut a bunch of yarn lengths that were each roughly 50 inches long. 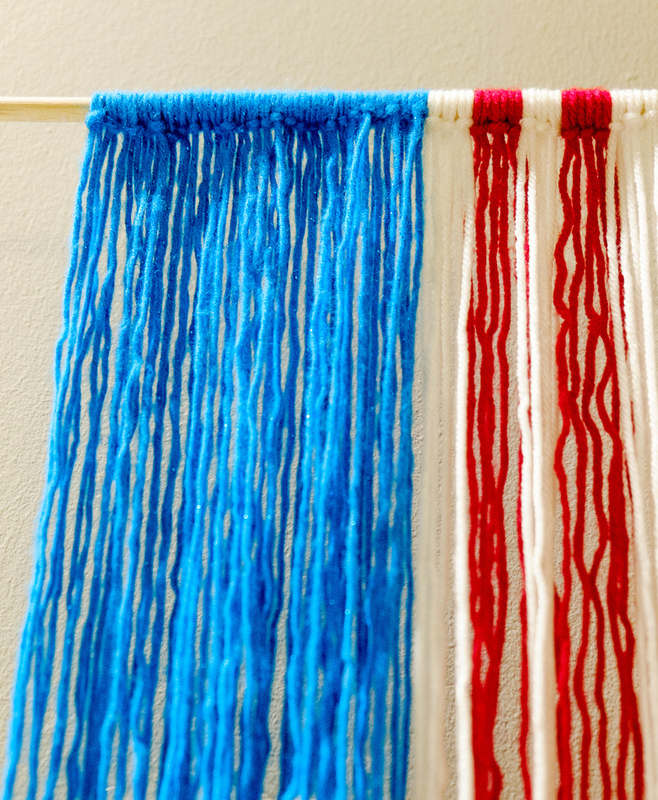 I wanted to roughly mimic an American flag, so I started with the blue yarn on the left side of the rod. 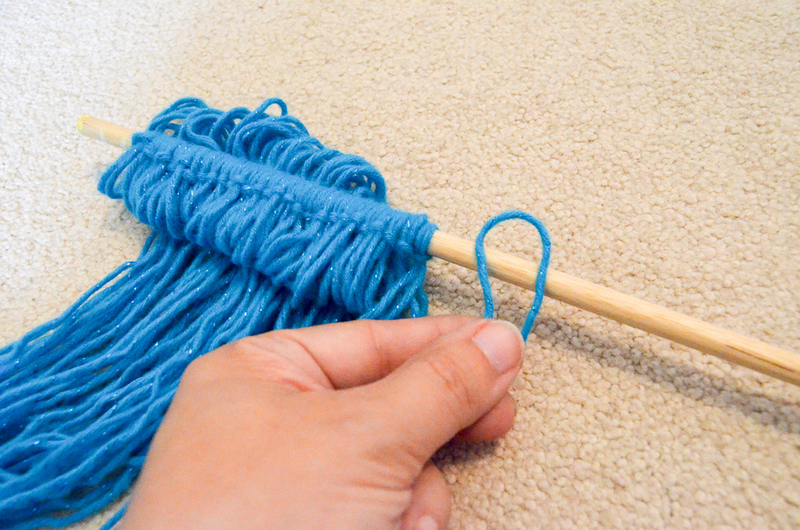 I took each piece of yarn and brought the ends together so that the bend was at the halfway point. With the “loop” on top of the rod, I pulled the ends underneath and through the loop. I then tightened each piece and moved it next to the one before it. 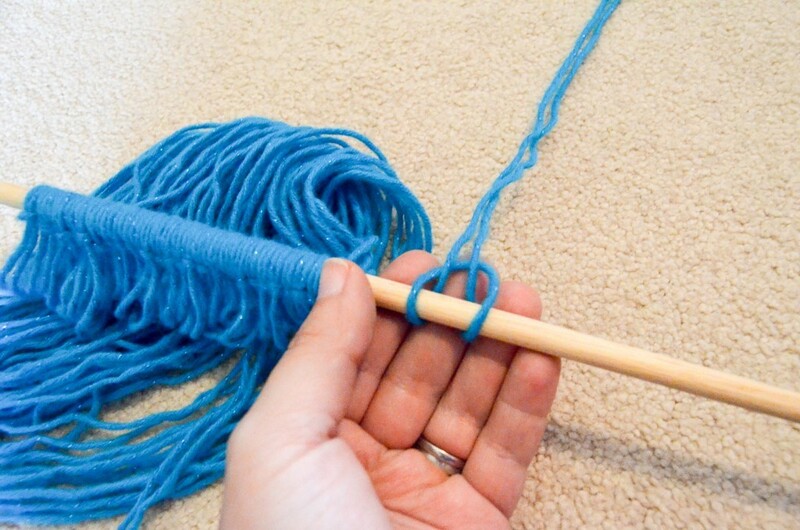 I wrapped pieces of blue yarn until I reached roughly one third of the space I was using. I then switched to the red and white stripes. I used eight pieces of yarn for each stripe and make thirteen, just like the real flag. The yarn was uneven when I first hung it up (just by tying a longer piece of yarn on each end). to be honest, I almost kept it this way. I liked the look of it (except for maybe the longest pieces). In the end, though, I decided to trim the ends. I angled the blue since it already had a bit of one going, and then straightened the stripes. 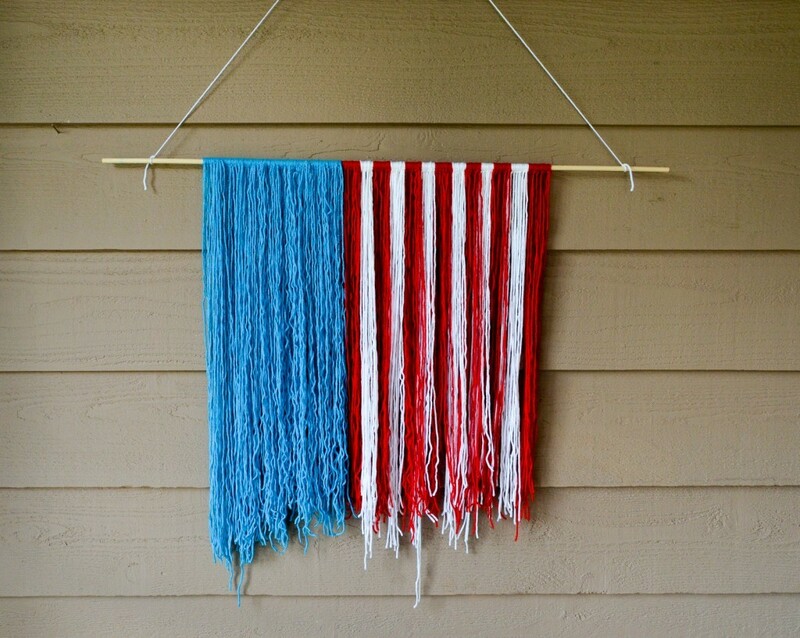 It’s a lot of fun seeing my Red, White, and Blue Yarn Hanging on our porch wall. 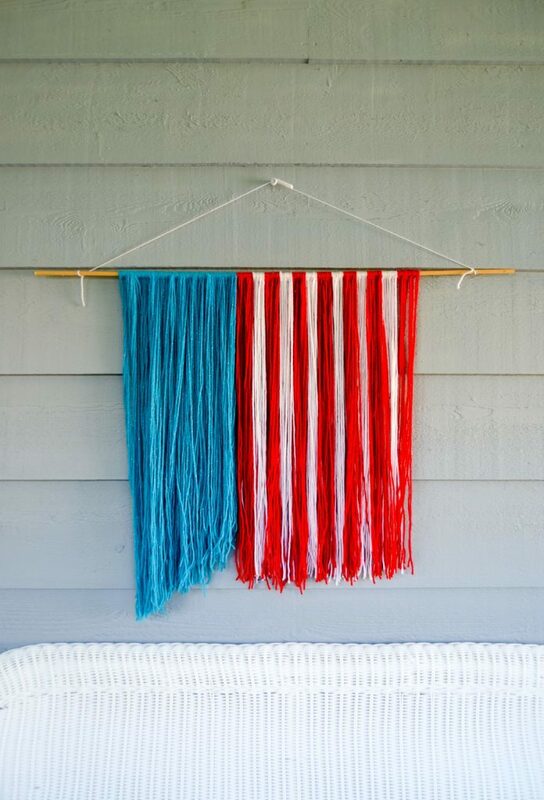 There’s always a midwest breeze and the yarn hanging moves in the wind. It’s a fantastic summer decoration! 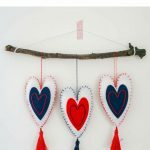 The best part of a blog hop is that you can find themed projects easily. 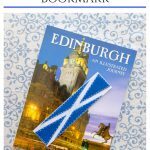 Just scroll through the images below to find more fun projects! 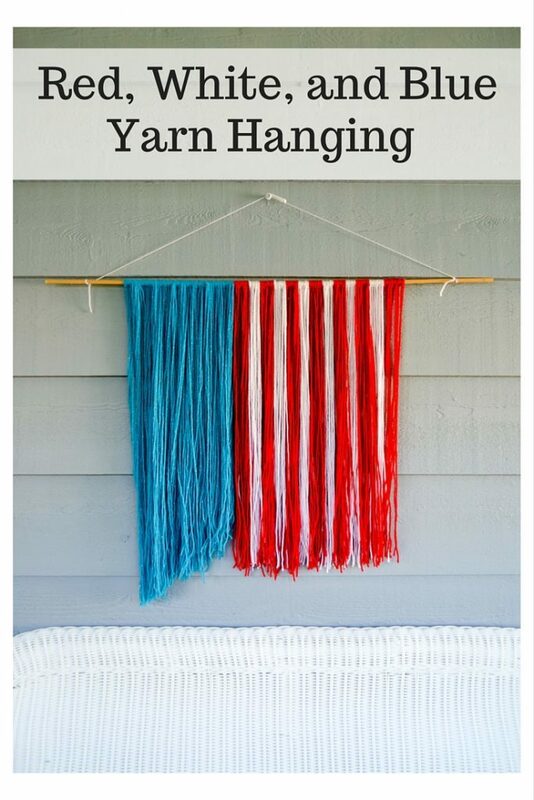 If you still haven’t had enough, check out the Red, White, and Blue Board on Pinterest! Follow The Cards We Drew’s board Three Cheers for the Red White and Blue ULTIMATE Round Up of Patriotic Ideas from Top Bloggers! on Pinterest. This is great! I love it and wouldn’t have thought of doing that. 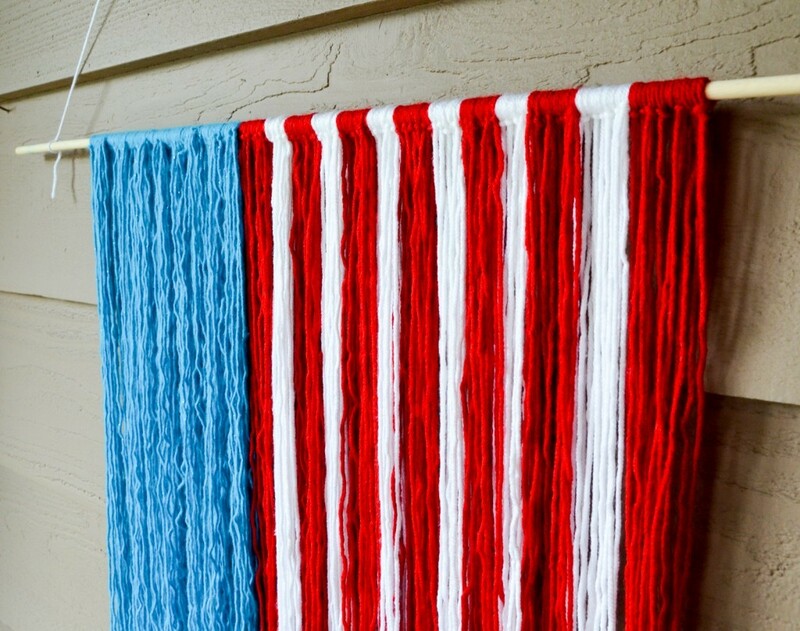 This is such a cool patriotic craft! I’ve been wanting to make something like this for a while. 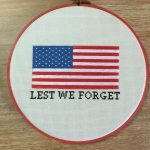 I’m pinning this to my patriotic pins board! How cool!!! Thanks for sharing at the #HomeMattersParty – We hope to see you again next week! 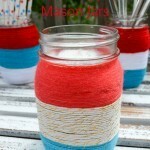 Love all the red, white & blue inspiration. Thanks for sharing at the party. Hope to see you again soon.